Sony has revealed what the exclusive content for PlayStation players will be in Destiny’s Dark Below DLC through a post on the PlayStation Blog. Those playing on PlayStation 4 or PlayStation 3 will get a timed-exclusive strike called The Undying Mind, as well as an exotic shotgun called the 4th Horseman. The Undying Mind will come to Xbox platforms sometime in 2015. To get an extended look at everything that will come with The Dark Below when it launches on December 9th, check out this behind-the-scenes look, as well as listed details about all of the content. 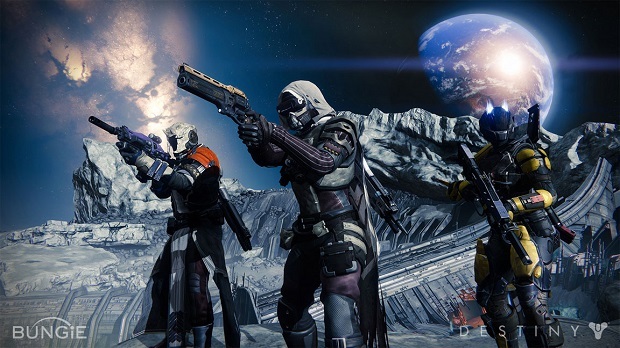 For more on Destiny, check out the Gaming Trend review.